I could write much, but a great deal has been said already in the press and in local campaigns by those more eloquent, knowledgeable and restrained. Names have been named and we can only hope the people responsible are heading for early retirement. Here I want to tell of life on the inside, as written by one of my students, Trevor Griffiths. 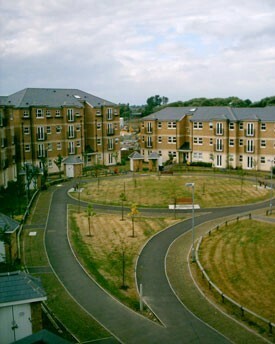 From Shimer College, Chicago, he spent September through to May living in the first phase of Castle Mill Development, Venneit Close. From aerial photos, it looks like a dolls house next to the latest phase, but it is four storeys high! Here’s his piece, illustrated with pictures I took in a similar apartment. Let’s hope all these buildings will be condemned and obliterated within our lifetime. 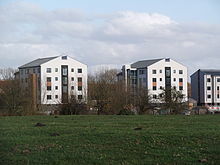 I live in Venniet Close, the newly constructed apartment complex on Roger Dudman Way near the station, the only completed building in a long stretch of development overlooking Port Meadow. An American student about to come to Oxford, I was warned by the Study Abroad Program which is hosting me that the English are unlike Americans in certain respects. They like to keep their houses a bit colder and so the heaters are not designed to be run at the level I might be used to. The appliances will be smaller, the stove and water heater a bit more temperamental, and the general accommodations all a bit less luxurious. I looked forward to the experience! When I arrived, however, I was disappointed to find that my living situation was strikingly similar to what one normally finds in the States. Rather than the quaint, somewhat idealized image of English living I had, I found an extremely modern building with typically modern problems. The building itself is, first of all, cheaply constructed. Rather than the beautiful stone and woodwork that characterizes the architecture for which Oxford is famous, I found drywall, cheap tiling, and plastic doors. 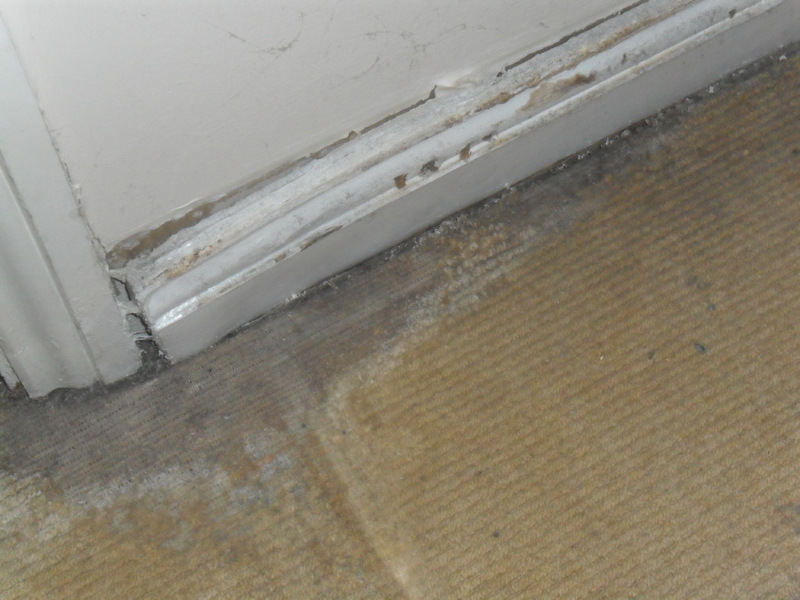 The carpeting is thick, but wears out easily, and in some places isn’t even attached to the concrete beneath. The structure is banal, and the sand colored brick that makes up the outside seems to me (who is of course no expert in these matters) to be as flimsy as brick can be. But what’s more disappointing than the material’s quality, is the quality of the construction. Almost all the visible plumbing is plastic, but it’s also poorly put together. There are constant clogs in the kitchen sink – no matter how careful we are to keep food particles out of it. The plumbing beneath the bathtub, which is inaccessible without removing the entire apparatus, has always leaked. 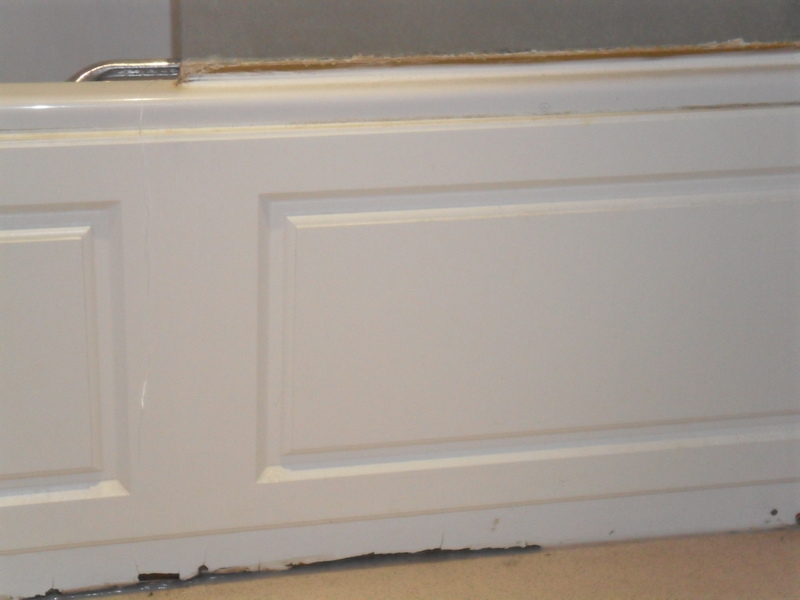 This has left permanent water damage in the walls around the tub and means that we must be always battling the mildew. Some of the cabinets in the kitchen are without backs, much of the paneling that ought to cover the plumbing in the walls seems to have simply never been put in, and large squares of drywall have been cut out from behind the heaters and never replaced. The fan in the bathroom is useless because the duct which ought to lead out through the roof was just never completed – it doesn’t lead anywhere. Presumably the builders forgot to finish it. The electricity is unreliable and many of the outlets do not function. All in all, it’s very much like living in a low-income housing development project in the United States. All these development projects have something in common; the buildings are temporary. Around every major city in the US, these poorly constructed towers have sprung up, contracted to companies whose modus operandi is quantity rather than quality. This is something that has dominated the American business mentality for some time, and has contributed a great deal to how homogenous and lifeless the American cultural landscape sometimes seems. Almost everything in the US is temporary, because ‘temporary’ means profitable and easy. But this kind of profit is always shortsighted, because it lacks integrity and aims only at monetary return. And, when looked at properly, this ‘ease’ starts to seem a lot more like laziness. I say laziness because the work required to do the job properly has simply not been exerted – the building in which I now live isn’t even finished! I think about the Ashmolean, about Christ Church, and about all the magnificent works of architectural genius which people travel from every corner of the world to see here in Oxford. Not only are they magnificent, they will stand the test of time. These buildings along Rodger Dudman? This first has already begun to come apart before the others have even been completed. And now I’ve come to find that there is controversy surrounding these new buildings. I’m glad to hear it. When considering the question, you might want to take a look at the US, and ask yourself if you would ever travel to Detroit, Miami, or Pittsburg to enjoy the architecture there. I’m certainly not saying that affordable housing shouldn’t be constructed. And I’m sure the University is desperate for places to put all their students. But these things can be done in a responsible way, and what I’ve seen so far seems flagrantly irresponsible. I sincerely hope that things do not continue in the direction they seem to be headed. If they do, I think Oxford will lose something very special. And if this is the future of Oxford, it’s already beginning to look a lot like the US of the present – bleak.